The GACCS 2019 Annual Burgess Scholarship is available to high school seniors or college students enrolled at the freshman/sophomore level based on academic achievement, financial need, and community service involvement. 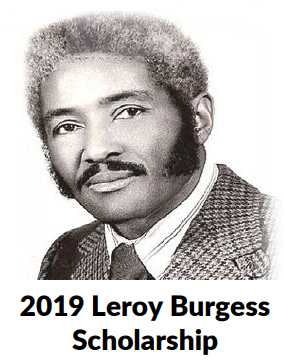 The Leroy Burgess Scholarship Fund is being developed as a means of encouragement to several graduating seniors and first-year undergrad students that would benefit from financial assistance $1000 or less. We hope these funds will be used towards reaching a determined positive goal in some field of higher education, which may not necessarily be college. Applicants must be high school students or in freshman/sophomore college level. Have an identified educational training program and documentation reflecting course requirements that the funds will be used towards. Submit an essay reflecting their goals in life, requirements to reach that goal, characteristics that they have to reach that goal, and how the funding will contribute towards achieving that goal. Contact GACCS at 248 847-3600 if you have questions. Your message will be returned the next business day. Award Amount: This scholarship provides a monetary award of up to $1,000 dollars to three awardees that residing in the Metropolitan Detroit Area. Book awards of $500 are also available to awardees. 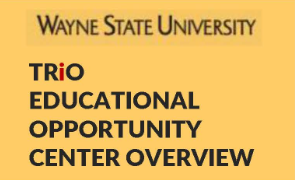 The TRiO Educational Opportunity Center (EOC) is a comprehensive counseling program Providing FREE academic, vocational, career and financial aid information to eligible adults in the Metropolitan Detroit area. Also eligible, are those 17-18 years of age and currently participating in alternative educational programs or have graduated or dropped out.